Kerouard Islands ER has major breeding colonies of sea-birds and marine mammals, and may be a critical region along the northwest marine mammal and bird migration corridor. 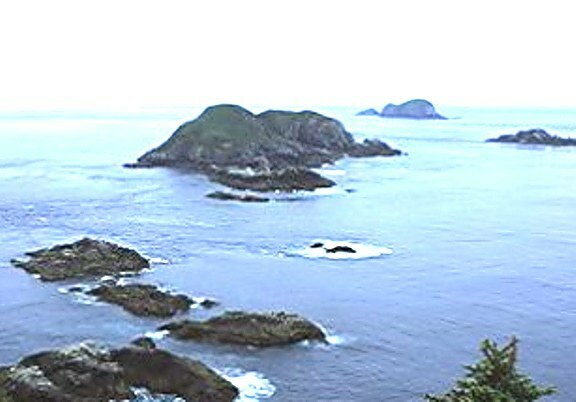 These islands are now part of the Gwaii Hanaas National Park Reserve (GHNPR). The following are included because of the valuable baseline research and observations carried out in early years when it was an Ecological reserve. It is hoped that the administration of the Gwaii Hanaas Marine Park takes into consideration the special nature of this area and supports continued research. See the Gwaii Haanas National Park Reserve website for more information.